Stop guessing. Start making data-driven decisions, today. Stop waiting weeks for your marketing and operations performance. Stop guessing what marketing activities are driving customers in. Get just what you need to take profitable action. We are the business intelligence platform for real people. Just the metrics, insights and information you need to move forward. Save 1000’s of hours, and make $1M’s more, with insights delivered through StrategyBox Dashboards and Reports. All paying for itself in 4-6 months. It’s all your data in one spot. 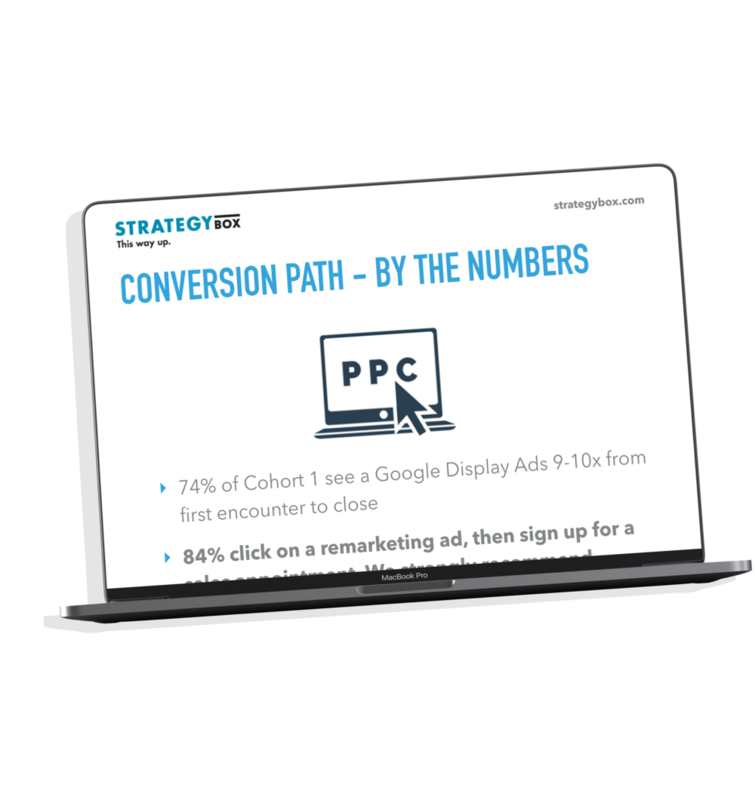 See how your marketing is driving conversions and sales. Or how efficient your operations are. Then when to do next to drive conversion and efficiency. Save 1000’s of hours annually, make $1M’s more. It’s tough to know what marketing activity drove a sale in today’s noisy world. What did I do that moved someone to buy? What online advertising drove an in-store visit? What should I do next to drive up conversions? Now you know, all in one easy-to-understand Report. We’re drowning in information and starving for wisdom. We are the world’s only business intelligence platform delivering information on what to do next to drive up conversion and efficiency. Want to connect to a data source you don't see? Speak to our team today!